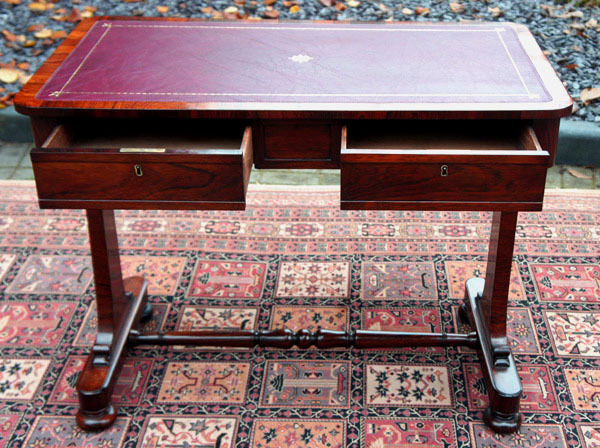 This small George 1V writing table has beautifully figured rosewood veneers. 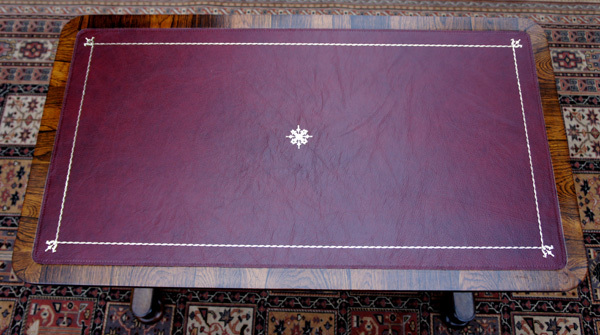 It has a replacement burgundy writing surface with gilt and blind tooling. The hide is surrounded by a cross-band of rosewood with rounded corners. 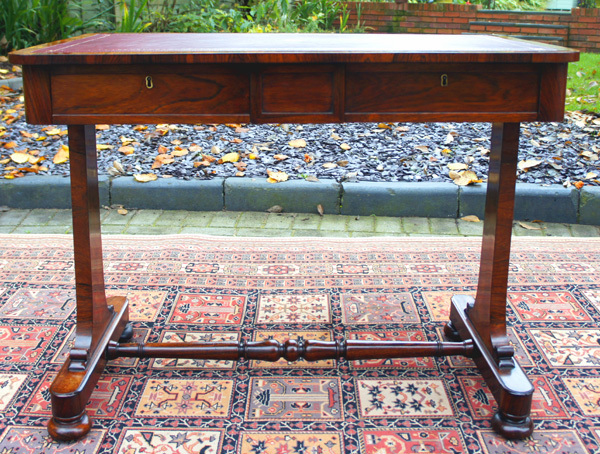 This small George 1V writing table has beautifully figured rosewood veneers. 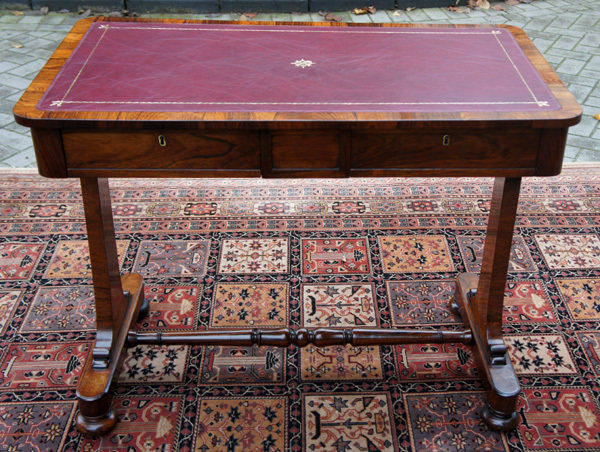 It has a replacement burgundy writing surface with gilt and blind tooling. The hide is surrounded by a cross-band of rosewood with rounded corners. The frieze is fitted with two drawers which are mahogany lined with hand cut dovetail joints and original locks with a key. The drawers have never been fitted with handles or knobs, there is a recess in the frame below each drawer to allow them to be pulled open. 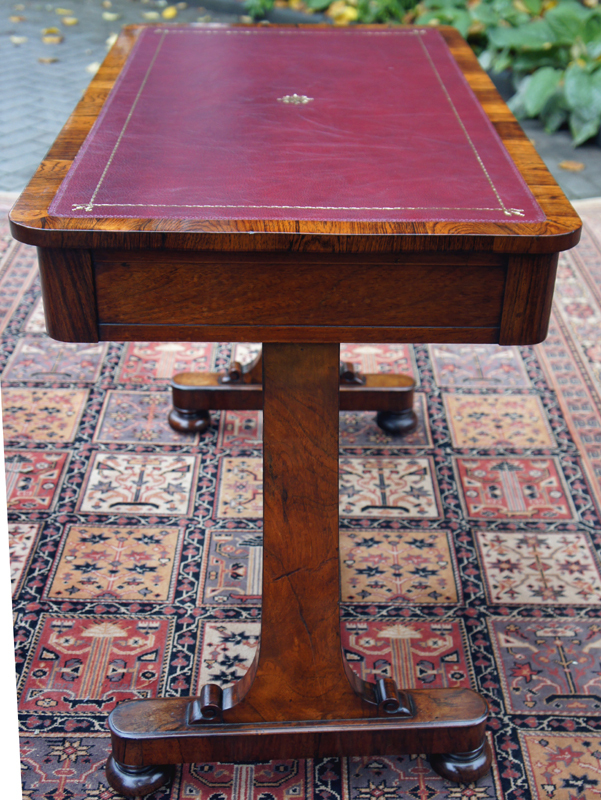 The reverse of the table is identical to the front but without the key escutcheons. The table top is supported by shaped end standards with platform bases and bun feet and hidden (original) castors. The stretcher base is united by a well-turned stretcher. and has developed a rich attractive patina over the years.